Who doesn’t love free stuff…or at least the opportunity to get free stuff? Pumpkin patch fun – partner with a local pumpkin patch for an afternoon or evening of “free” pumpkins (you negotiate a discount and pay for any pumpkins your clients pick up during the pick-up day/time). Be there to shake hands and hand out hot apple cider and treats, too! Pie giveaway – host a pumpkin or apple pie giveaway at your office. Clients who have RSVP’d in advance swing by to pick up their pie…and maybe enjoy a sliver with a cup of coffee and some face-time with you! Fall often means getting ready for winter…make sure your clients are prepared! Send an email or a print piece to your clients and sphere! Seasonal home maintenance tips – the leaves are falling, the temps are cooling…help your clients maintain their homes and maintain their home’s value with a few easy-to-follow tips. Click here for a sample of mine. Fall curb appeal – what homeowners can do and which plants work in your area for the best curb appeal, whether or not they’re planning to list their home. Click here for an example of mine. 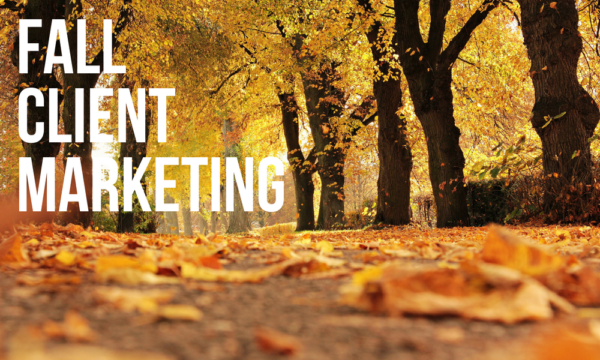 Remind your clients and consumers why it’s a smart idea to sell their home in the fall (springtime doesn’t have to be the only selling season)! Bring people together and get face-to-face! Halloween candy buy-back — partner with a local dentist or doctor’s office and host a Halloween candy buy-back. Pay kids per pound of Halloween candy they bring in…and provide healthy snacks in lieu of candy!